2016 was a desperately sad one on the musical icon front. And the film and TV icon front. As well as the EU referendum front. Plus the US Presidential elections front. Let’s be honest: by December, we pretty much ran out of fronts to be happy about. The good news is that Lolo Brow, London’s favourite burlesque/drag superstar, has a special message for you. 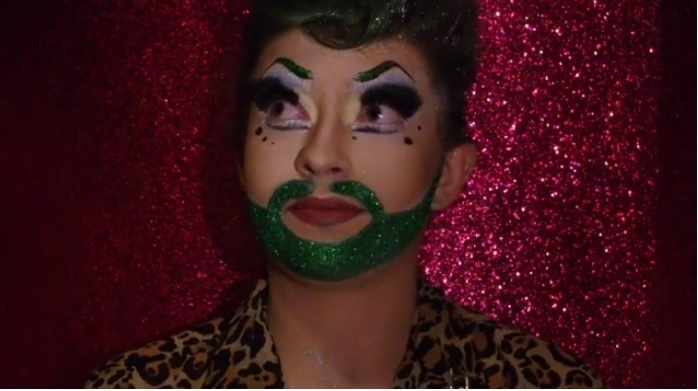 Earlier this year, she won the top prize at the inaugural Burlesque Awards and, between appearances in the sell-out Family Fierce panto, she found time to make us this exclusive video. In this most tumultuous of years, she has prepared something which comes straight from the heart, the head and the liver. So what does she have to say about it all? Roll VT to find out.